Chennai city is still battling the flood caused by the torrential rains. People in Chennai are working together to ensure everyone's safety and help is flowing from across the nation as mobile recharges, food, clothing and medicine supply and monetary contributions. Film stars are contributing generously to the Tamil Nadu CM's relief fund and coordinating relief activities like never before using social media. Amid all this, there are some who are ranting on social media and trying to spread negativity. When some try to bring in religion, stating how people are helping those from other communities, there are others posting nonsense about Tamilians. 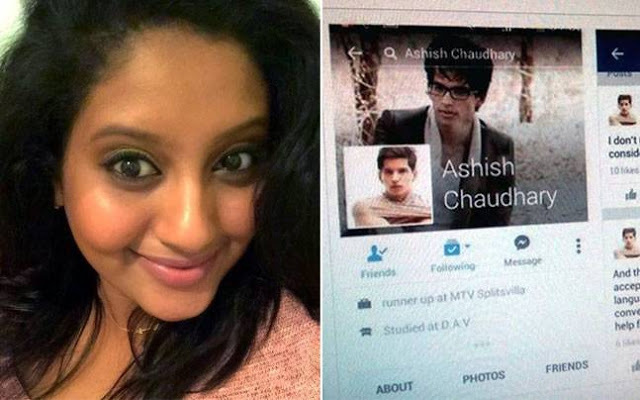 One such post made by a fellow named Ashish Chaudhary got a befitting reply from a girl, Anusha Natarajan. 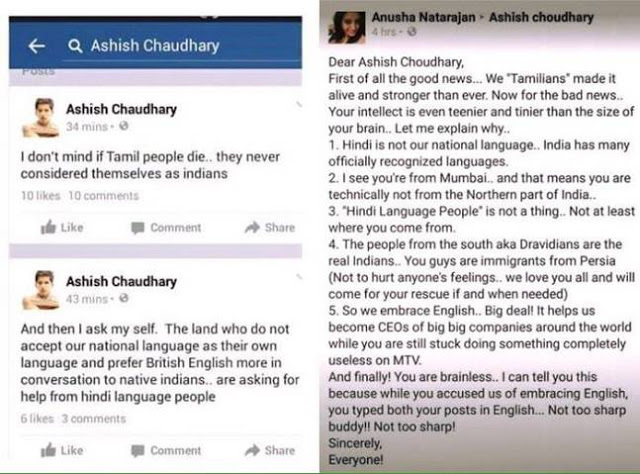 Ashish, whose Facebook profile is now deactivated, posted this - "I don't mind if Tamil people die, they never considered themselves as Indians," and without stopping there, he wrote, "And then I ask myself, the land who do not accept our national language as their own language and prefer British English more in conversation to native Indians are asking for help from Hindi language people". 1) Hindi is not our national language, India has many officially recognized languages. 2) I see you're from Mumbai, and that means you are technically not from the northern part of India. 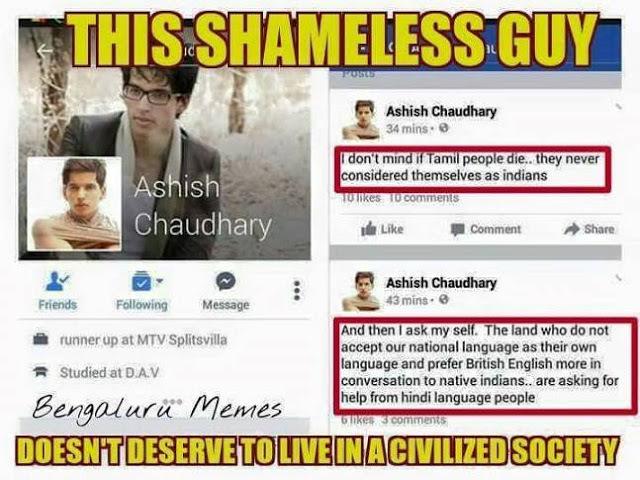 3) 'Hindi language people' is not a thing, not at least where you come from. 4) People from south AKA Dravidians are the real Indians, you guys are immigrants from Persia (not to hurt anyone's feelings, we love you all and will come to your rescue if and when needed). 5) So we embrace English, big deal! It helps us become CEOs of big companies around the world while you are still stuck doing something completely useless on MTV. And finally, you are brainless. I can tell you this because while you accused us of embracing English, you typed both your posts in English. Not too sharp buddy, not too sharp! Facebook users are using #AshishChaudhary to respond to Ashish as his Facebook account has been deactivated. You can check out more reactions on Facebook.